High quality acrylic diecast display case with mirrored back and front opening clear door. 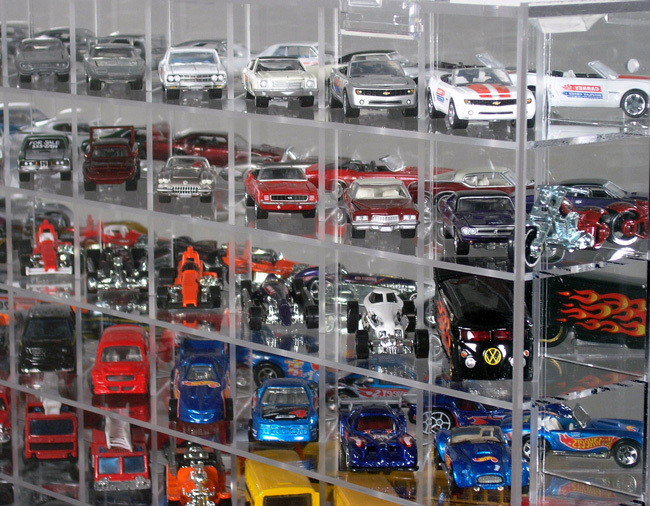 This diecast display case is designed to hold 72 1/64 scale diecast cars. Includes mounting hardware. 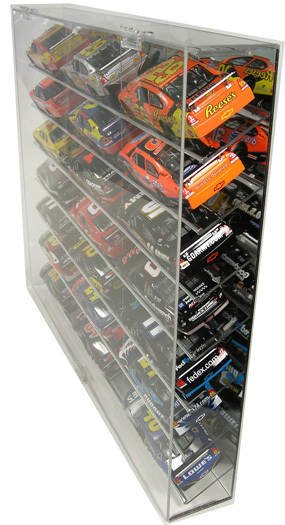 High quality acrylic diecast display case with slanted shelves, mirrored back, and front opening clear door. 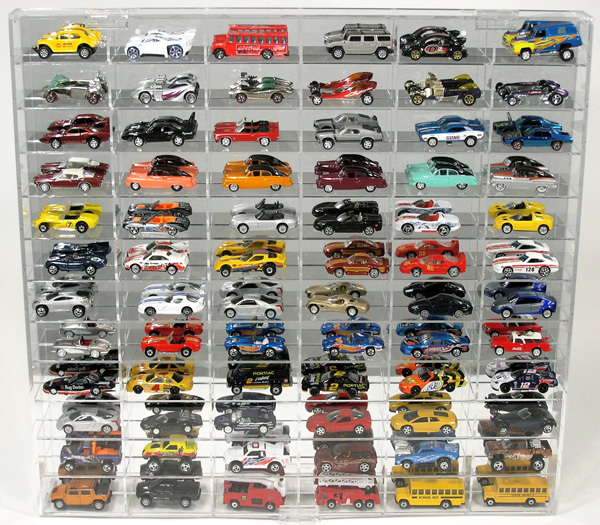 This diecast display case is designed to hold 99 1/64 scale diecast cars. Includes mounting hardware. 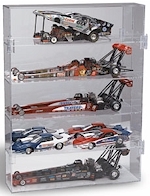 High quality acrylic diecast display case with mirrored back and front opening clear door. 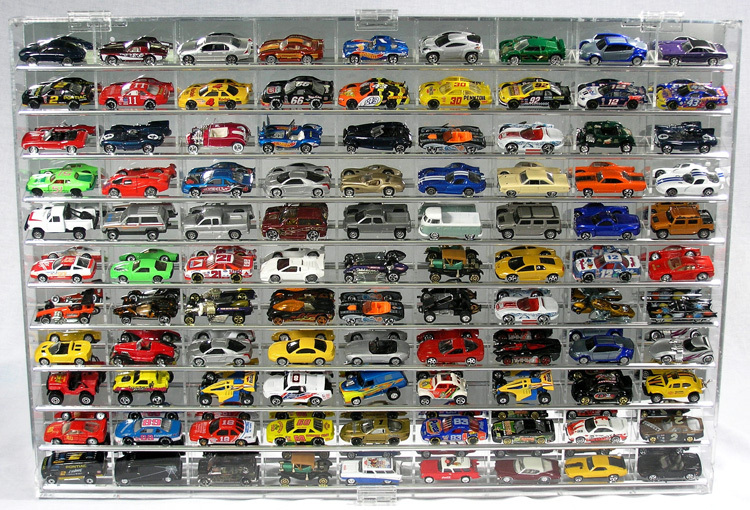 This diecast display case is designed to hold 108 1/64 scale diecast cars. Includes mounting hardware. 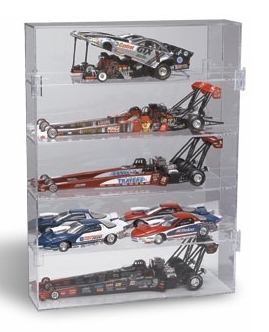 High quality acrylic diecast display case with side angled shelves, mirrored back, and front opening clear door. 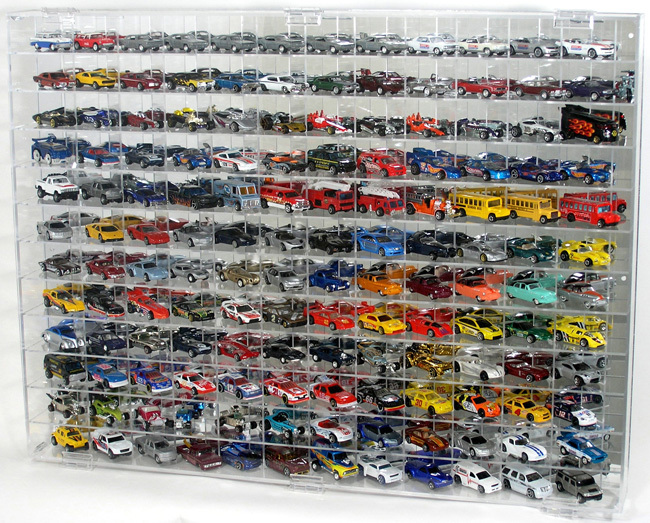 This diecast display case is designed to hold 144 1/64 scale diecast cars at a side angle. Includes mounting hardware. 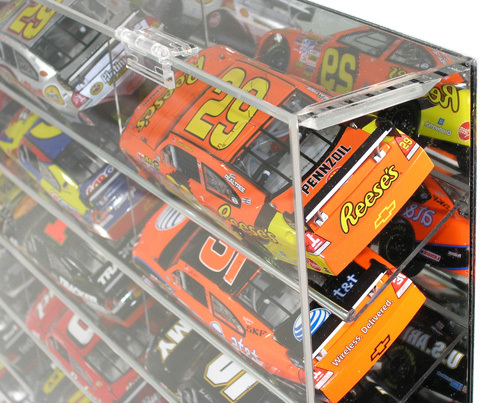 High quality acrylic diecast display case with mirrored back and front opening clear door. 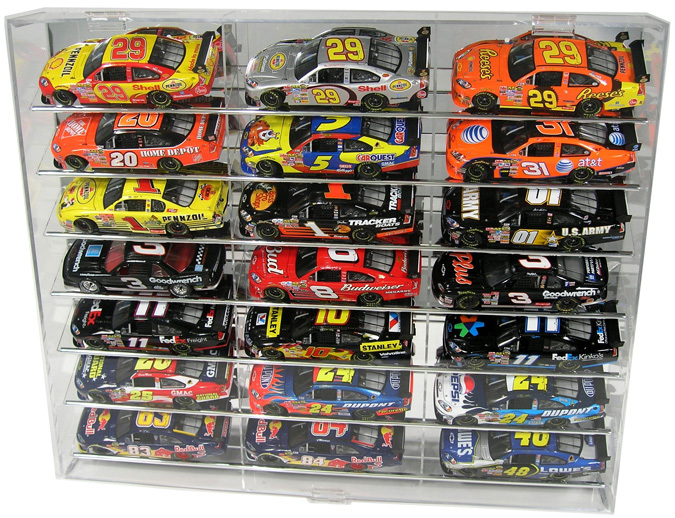 This diecast display case is designed to hold 21 1/24 scale diecast cars. Includes mounting hardware. 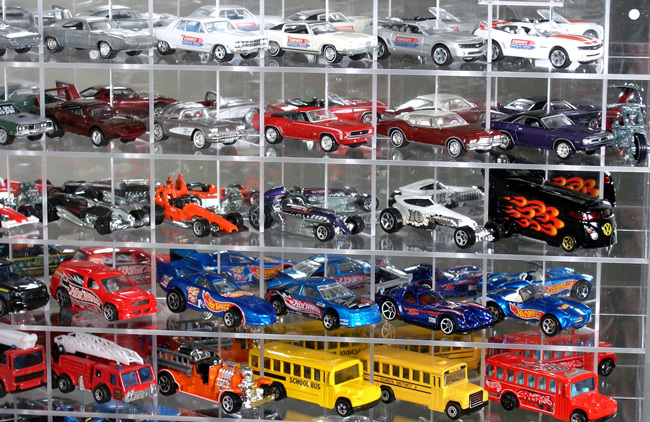 High quality acrylic diecast display case with slanted shelves, mirrored back, and front opening clear door. 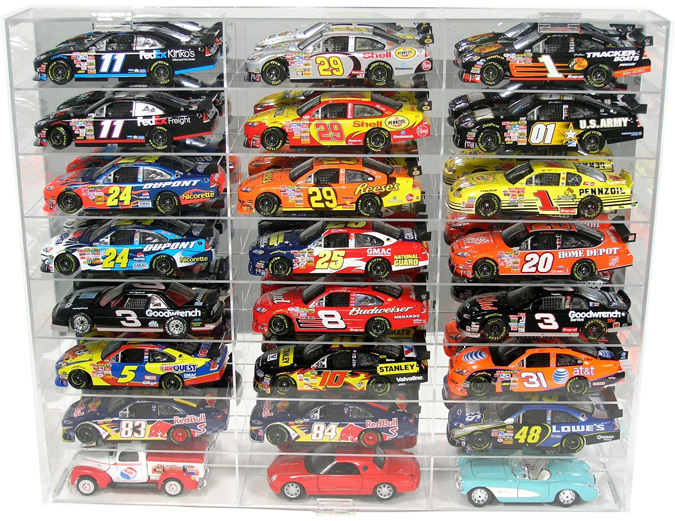 This diecast display case is designed to hold 21 1/24 scale diecast cars. Includes mounting hardware. 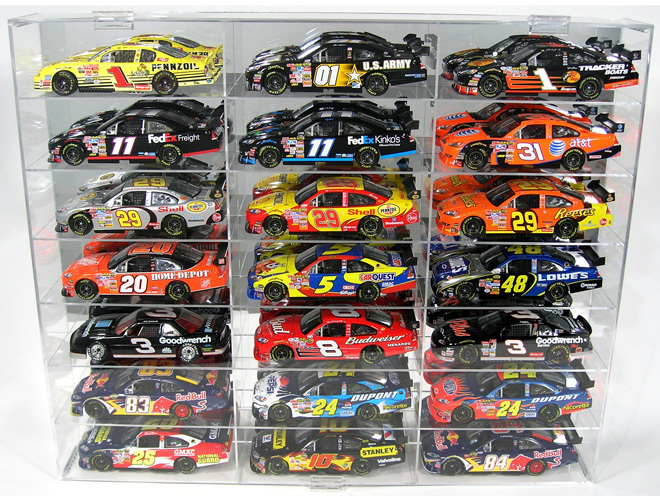 High quality acrylic diecast display case with mirrored back and front opening clear door. 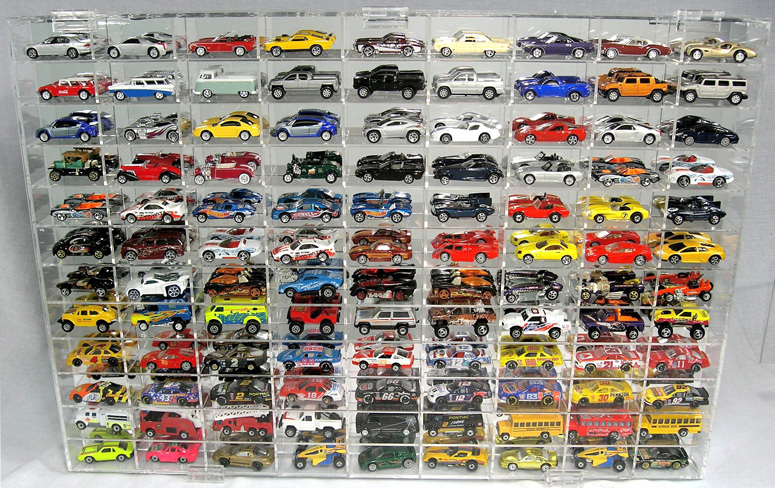 This diecast display case is designed to hold 24 1/24 scale diecast cars. Includes mounting hardware.